Little, Brown Books for Young Readers, 9780316126564, 40pp. HE IS A MONSTER OF GRUMPINESS THAT NO ONE CAN DESTROY! MEHHRRRR!!! HE'S ALIVE! He may look like any ordinary boy, but when faced with a rainy day, a melting popsicle, or an early bedtime, one little boy transforms into a mumbling, grumbling Crankenstein. 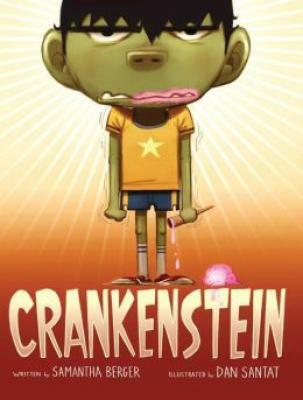 When Crankenstein meets his match in a fellow Crankenstein, the results could be catastrophic--or they could be just what he needs to brighten his day! Samantha Berger has worked at Scholastic and Nickelodeon. She has written over seventy books, including Crankenstein and A Crankenstein Valentine. "Expect many re-read requests from Crankensteins who may (or may not) recognize themselves."